Joanna Gaines' new book is out today — and this one's for kids! The Magnolia mama wrote "We Are the Gardeners" with children in mind, and her own kids helped create it. We have good news for fans of former "Fixer Upper" star Joanna Gaines. The home improvement guru and doyenne of interior design just released a brand-new book. And it's not like anything she's written before! 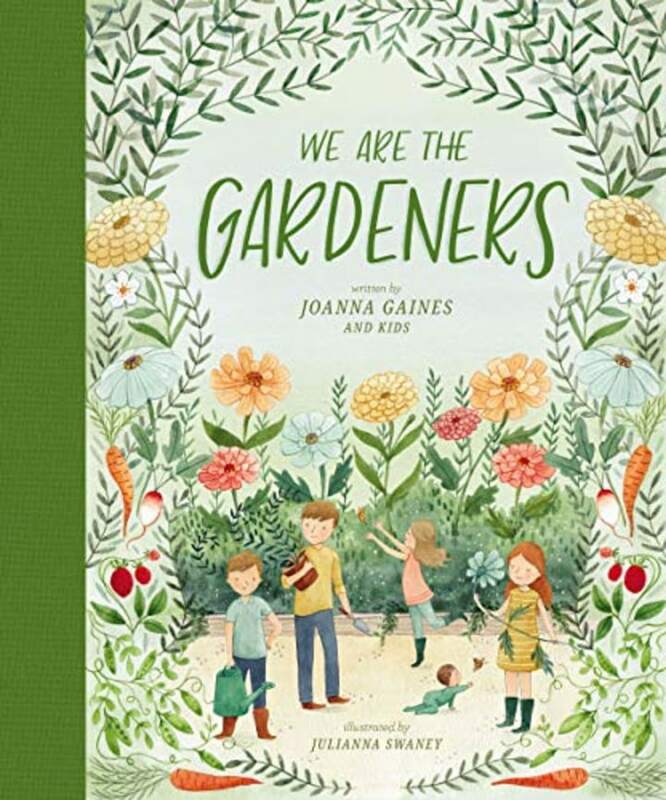 "We Are the Gardeners" is a children's book, but it's more than that. It's also the story of the Gaines' family and their adventures cultivating a garden of their very own. In fact, her own kids — Drake, 13, Duke, 9, Ella, 12, Emmie, 8, and Crew, 7 months — are credited as co-authors, and their illustrated images, as well as those of blooms and greenery, grace the book's cover. "The garden has always been a place that inspires me," the Magnolia mama said in a press release from publisher Thomas Nelson. "There’s something about digging deep into fresh soil or watching new life burst from what was not long ago just a tiny seed that reinforces what a gift life is." She added, "I think that’s part of why my kids have come to love spending time in the garden just as much as I do. It can be a great teacher, if we pause long enough to notice all there is to learn. Where every day can be a lesson in hard work, and sometimes even in failure, but where there’s also growth worth celebrating." The whole family, including husband, father and fellow "Fixer Upper" Chip, can be seen in artist Julianna Swaney’s watercolor illustrations that fill the pages. This is the fourth book from Gaines, who co-wrote "The Magnolia Story" with Chip, in addition to penning "Homebody: a Guide to Creating Spaces You Never Want to Leave" and "Magnolia Table: a Collection of Recipes for Gathering." But those interested in her upcoming book might want to make space for it in their yards, as well as on their bookshelves. As Laura Minchew, senior vice president and publisher of Tommy Nelson Children’s Books, noted in the release, "Families will delight in reading the story together, and create happy memories by starting their own gardens." Sounds like this book came at the perfect time of year.